We have seen some dumb silly crap in our days but, H.K. Edgerton takes the cake! H.K. 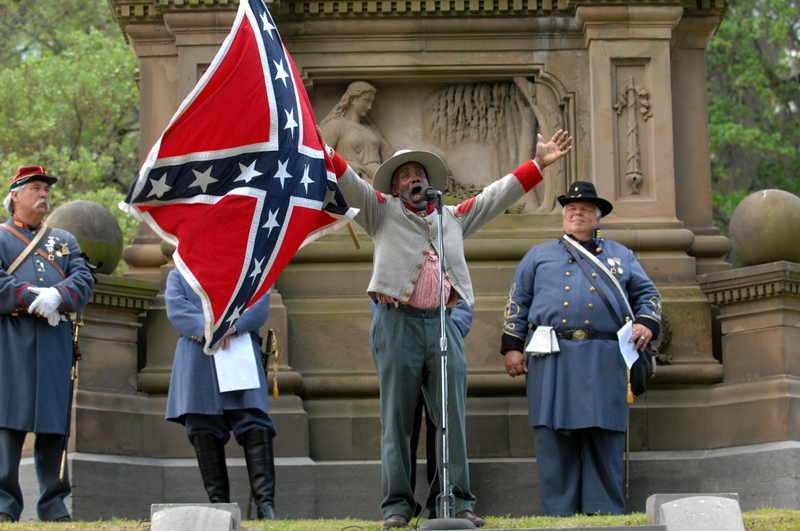 is a black man who loves the confederacy. He’s made quite a name for himself and is equally loved by the “Cuckfederates” and hated by most black people for his love and support of glamorized phony Confederate heritage myths. Brooks Simpson, a PHD academic, history professor and the author of several books on the civil war has this to say about H.K. And One People’s Project has been following this chucklehead for a long time. I don’t watch much television. I had no idea how accurate the “Uncle Ruckus” moniker was until I googled it. What a clown this dude is. $20k for a speaking engagement? What the what? Boondocks is totally worth the watch…see if you can get it on netflix.